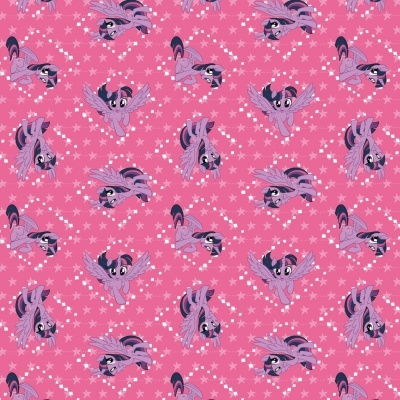 Twilight Sparkle design on a pink background, from the Camelot My Little Pony The Movie collection. 100% cotton. 110cm / 44'' Width, approx 150gsm. Multiples of a size will be cut as one piece unless requested otherwise. 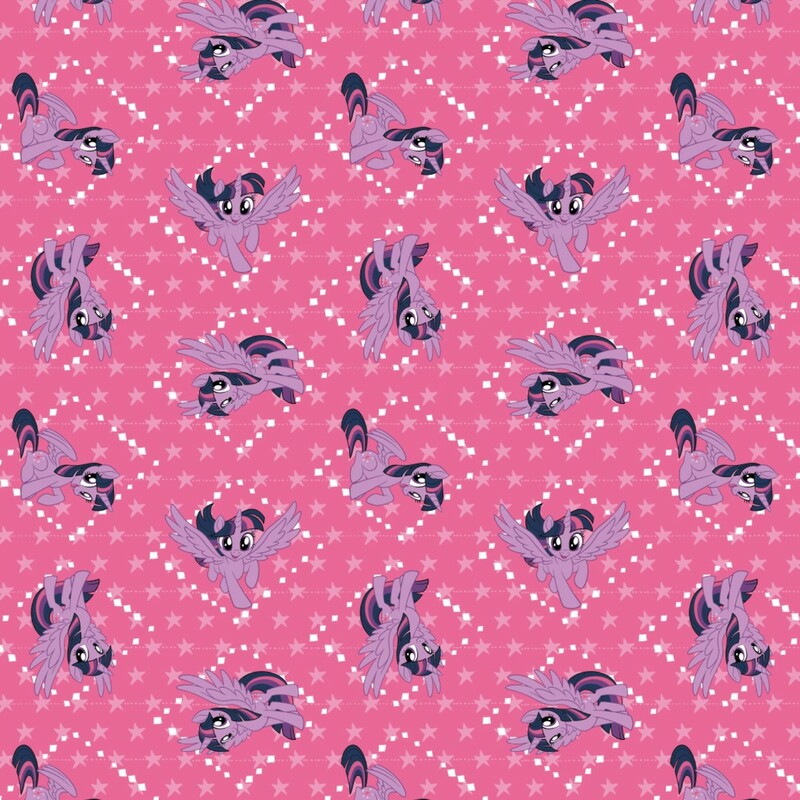 Lovely weight fabric to make a skirt for my grand-daughter who is a MLP fanatic. Lovely shade of pink.